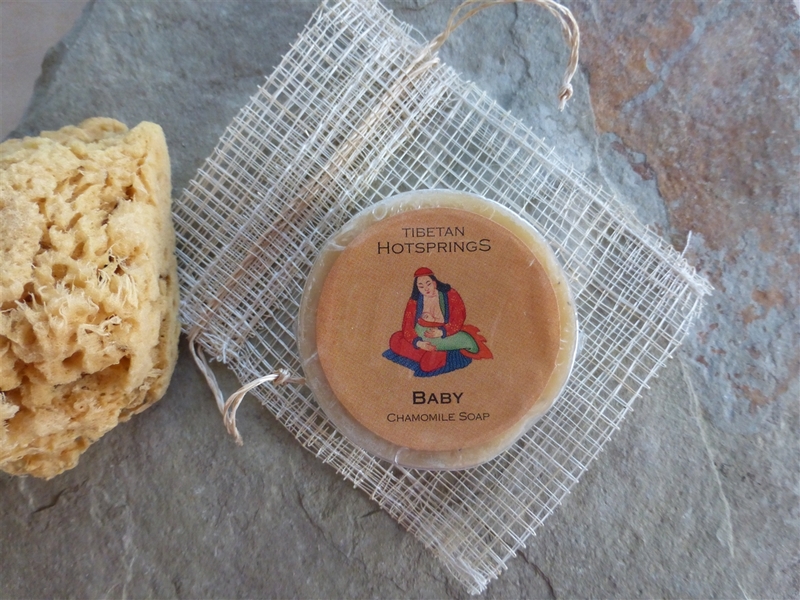 This Baby Chamomille Soap is formulated for the highly sensitive skin of babies. Chamomille and lavendar are two of the few recomended essential oils for use on babies under a year old. Each bar of soap has been carefully hand crafted using a traditional Himalayan cold process technique.